I’ve forgotten my password, how do I regain access? Visit the Existing Applicant login page and follow the prompts to reset your password. Visit the Existing Applicant login page. This will allow you to view the positions you have applied for and the status of your application. I have not received any feedback since submitting my application. How do I get an update? Does Queensland Urban Utilities sponsor non-residents of Australia? We are open to considering applicants who are non-residents. Please advise us of your residency status during the application and recruitment process. 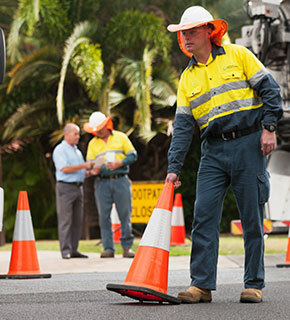 Where can I find current vacancies within Queensland Urban Utilities? All vacancies can be located by visiting the Current Vacancies page. You will be able to search all our current vacancies. Who can I contact to enquire about a vacancy or the progress of my application?